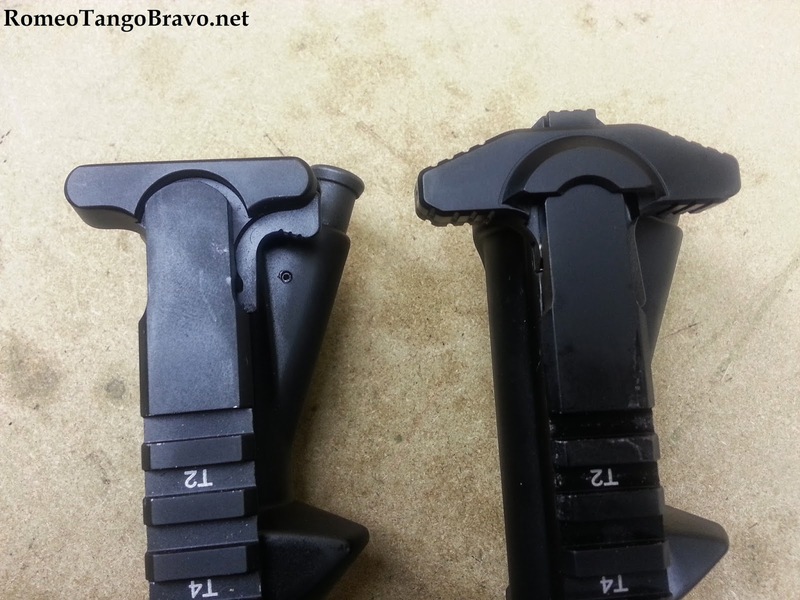 I was excited when Armageddon Tactical contacted me and asked if I'd like to try their new charging handle design. I had seen some pictures on the internet over the previous days of their GMS-15 (Gas Management System) and bookmarked the pages to review later. No sooner than sitting down to find out more did I see an email from Armageddon Tactical in my inbox. I received the GMS-15 quickly and was impressed by the fit and finish of the part. The shaft and t-handle were machined from 7075 T-6 Aluminum then plated and impregnated with Teflon. The latch is made of 4140 Steel that is coated with Mag Phosphate for protection. My first overall impression was that I was holding a design that left nothing as an afterthought. 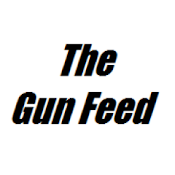 I quickly threw it into my rifle and began running through a series of operations; charging, locking the bolt, releasing the bolt and checking the fit over and around the receiver. Fit over the receiver? Yes, the GMS-15 actually seats over the back-end of the receiver to enhance its namesake feature; gas management. Since I shoot rifles left-handed (or wrong-handed) I appreciate ambidextrous controls and the charging handle is no exception. It can be argued that having the capability to run the rifle from either side in the same manner is ideal. 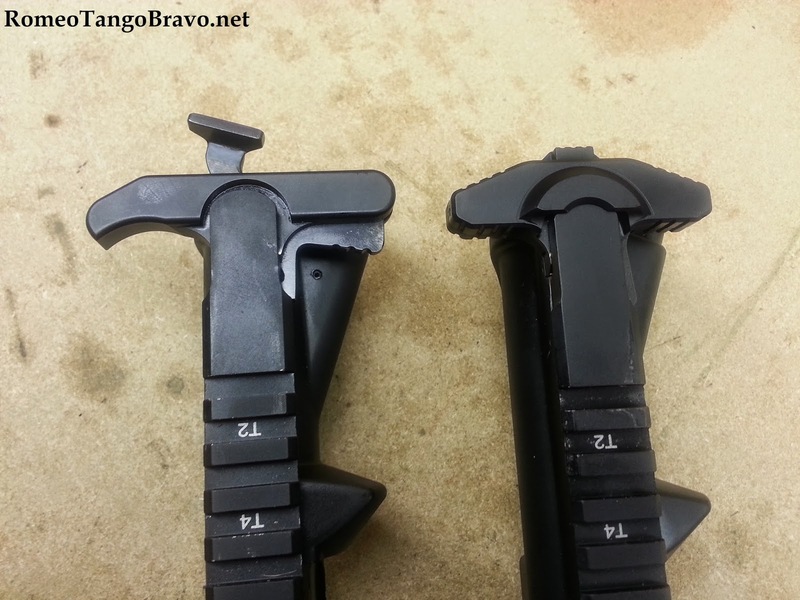 Due to this I have collected several ambi charging handles and was excited to see how the GMS-15 compared. 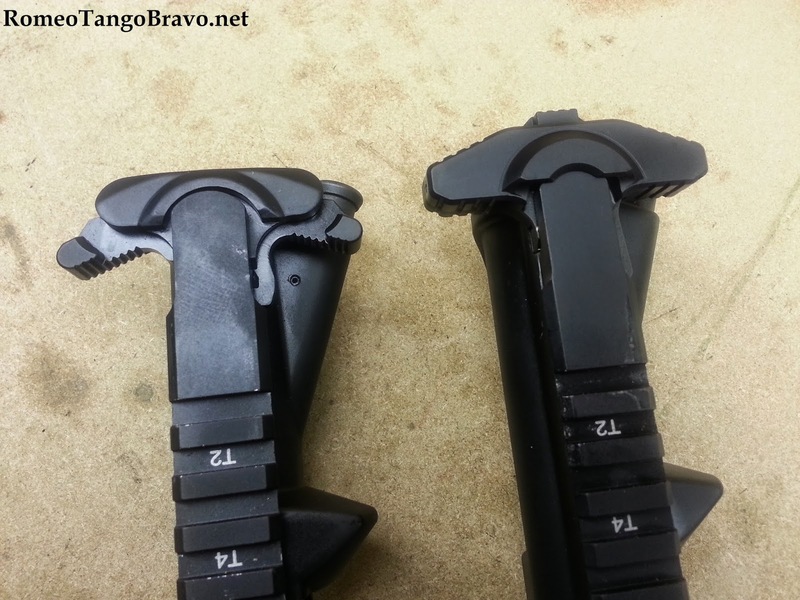 Unlike several designs on the market; Armageddon Tactical's does not pivot on an axis or roll pin. This allows for less parts and a more robust handle. In fact what many misidentify as a 'button' on the rear of the T-Handle is actually the extension of the shaft. Being able to redirect gas blowback was the feature I was most interested in seeing. I began buying silencers a couple years ago and still have an item or two awaiting approval. As I shot suppressed, especially strings of fire, I noticed the sting in my eyes from gas escaping the rifle from the receiver. In the beginning I let it burn and shook it off but as time went on it bothered me more and more. This is the whole reason I was excited by the 'Gas Management' claim. I gathered five charging handles: Armageddon Tactical GMS-15, Mech Armor TACOPS-1, Rainier Raptor, BCM Gunfighter and a standard OEM charging handle to act as a control. I decided I would fire three rounds with each handle installed in my rifle while filming and shooting stills in an attempt to capture any difference in gas management from design to design. I did this three times to increase the likelihood of capturing usable images. I also fired ten rounds off-hand with each handle installed just to see if I could perceive any difference in performance. I certainly felt as if the GMS-15 was redirecting the blowback away from me while shooting because I was able to fire more rounds before feeling any sting of gas in my eyes. The film I captured shows a difference as well. The Armageddon Tactical GMS-15 has a clear advantage in the department of gas management and is an excellent ambidextrous design as well. 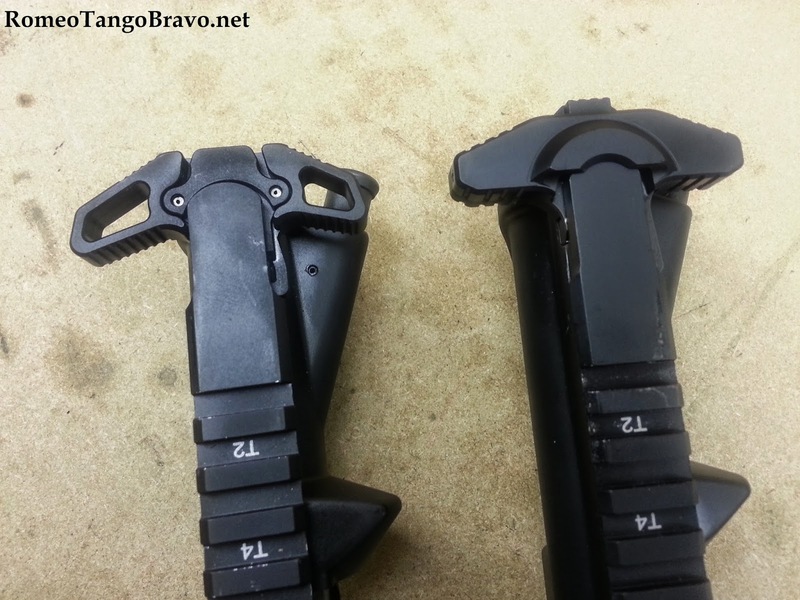 I will continue to use this charging handle throughout the summer and bring it to shoots. 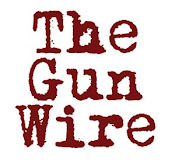 I will be providing an update towards the end of the shooting season.